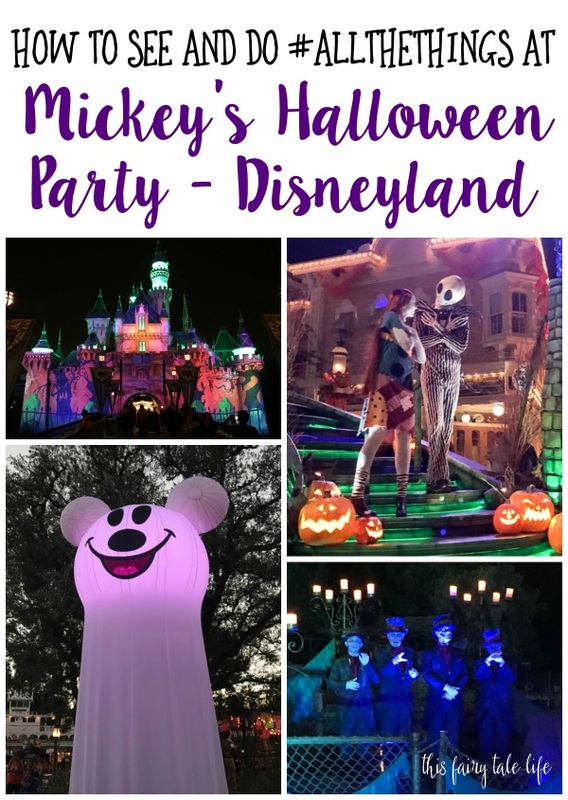 If you’ve never been to a Disneyland Mickey’s Halloween Party you may be wondering what there is to do and see. The answer is, a lot. There’s a lot. There’s A LOT going on. After attending two parties I feel pretty confident that I can give you all some advice on how to best tackle your evening. 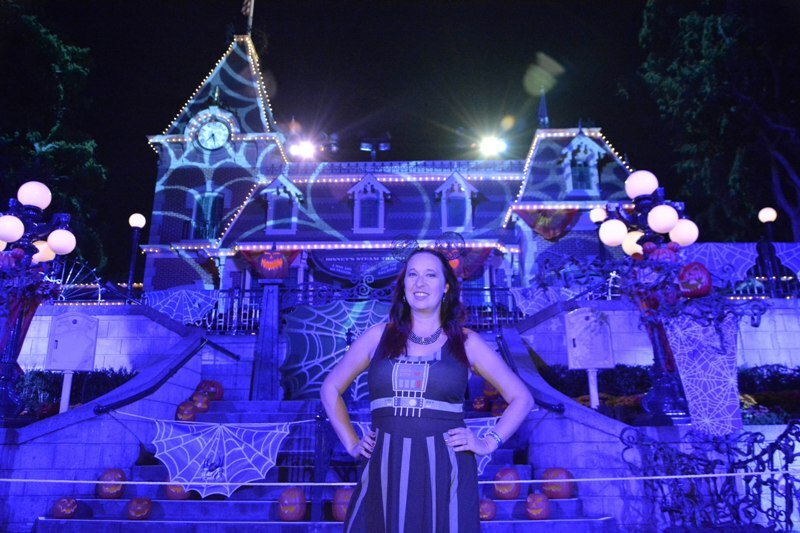 So if you want to do and see all the things at Mickey’s Halloween Party, read on. The first thing I’m going to tell you is a bit of a warning: You might not get to do and see all the things. I realize I just promised you this guide would tell you how to do and see all the things. But let me just tell you, there’s so much happening that doing everything would be exhausting, if not impossible. So use this as a loose guide to help you optimize your time and plan the things that are most important to you. 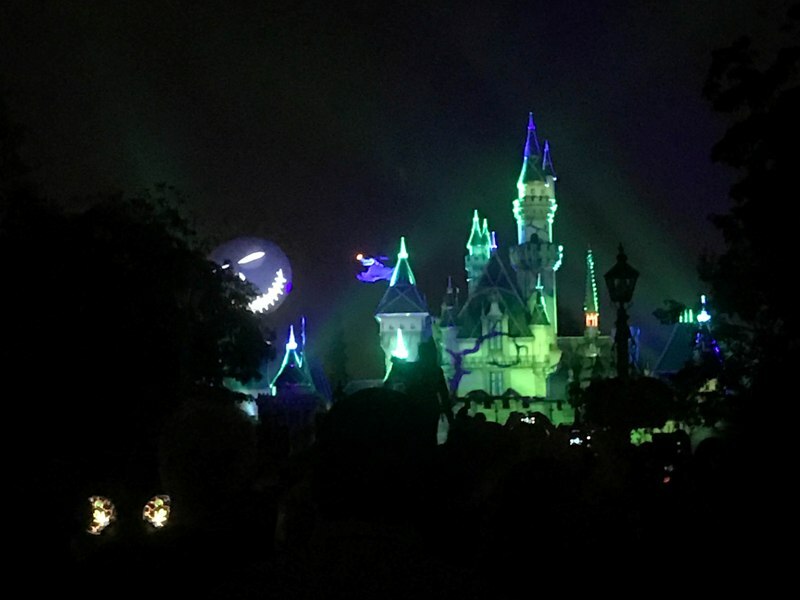 And with the addition of a new parade this year, maximizing your time at Mickey’s Halloween Party has become that much more important. This isn’t a guide on what to pack and bring, but I will say the most important thing you should bring with you to Mickey’s Halloween Party is your patience. 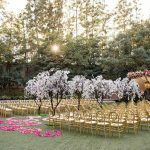 These events can get very crowded very quickly. You will wait in line, a lot. 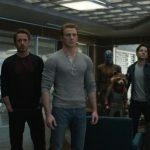 You will stand around, a lot. Wear comfortable shoes. I speak from experience. 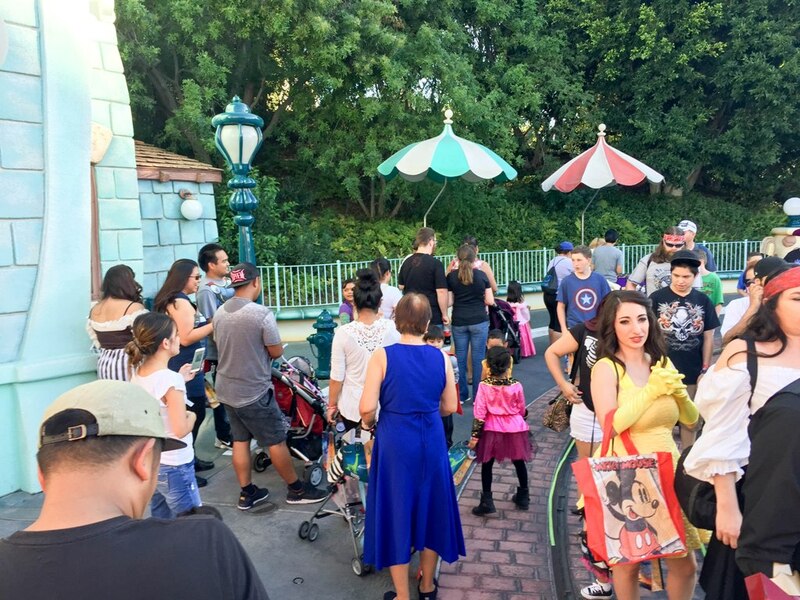 The first thing you should know and keep in mind is you are allowed to enter Disneyland park three hours before your ticket event time. So if your ticket event time is 7 PM, you can enter the park as early as 4 PM, and if your event time is 6 PM you can enter the park as early as 3 PM. I highly recommend taking advantage of this extra time. 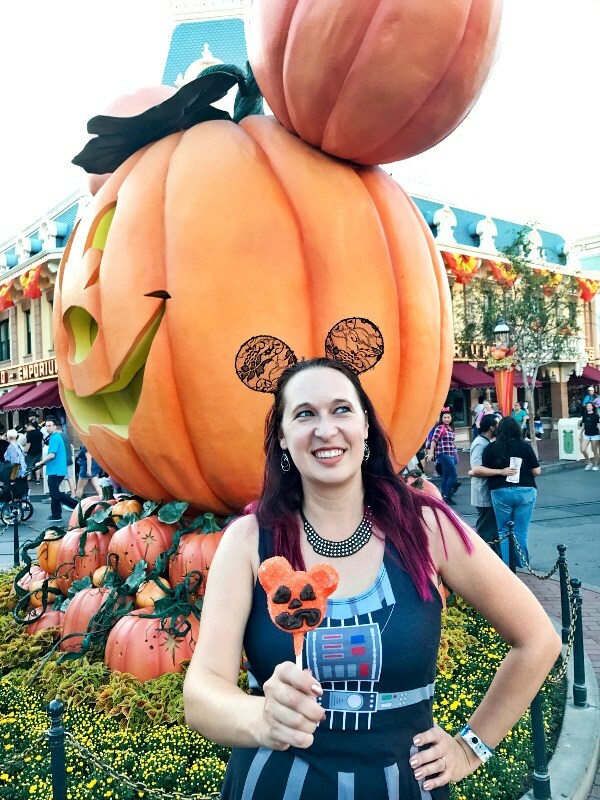 Even though Halloween Party festivities won’t be taking place yet, you can use this extra time to ride the Halloween themed attractions, Haunted Mansion Holiday and Space Mountain: Ghost Galaxy, and also eat dinner. Eating dinner before the party starts gives you that much extra time to experience party specific events. For the Halloween Party, Toontown starts the party an hour before the rest of the park, and I highly recommend starting there. 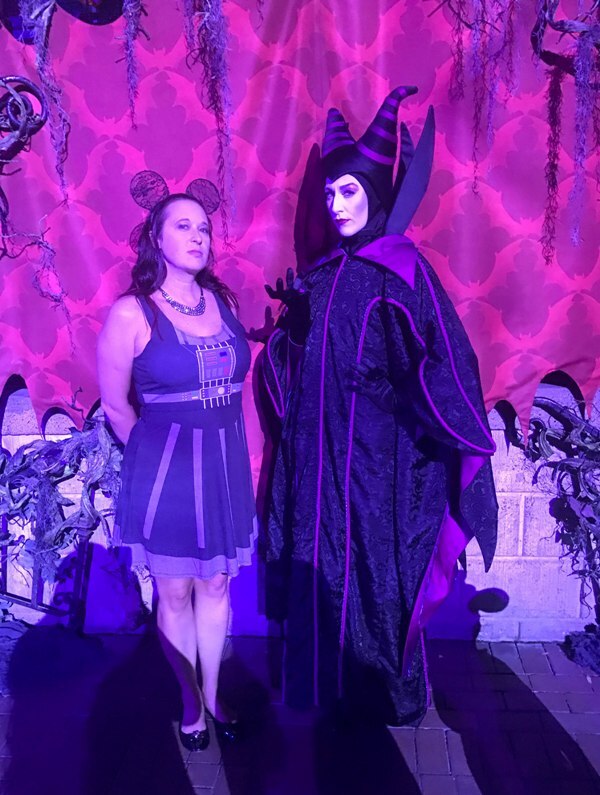 You can go through their Trick-or-Treat Trails and get photos with costumed characters. Keep in mind this area will get very crowded as that early hour goes on. I recommend heading to Toontown about 15 minutes before it’s set to open so you can queue up and be one of the first groups going through the Trick-or-Treat Trails. 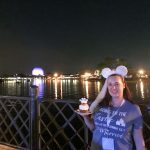 If you’re going to eat dinner before heading to Toontown, I recommend eating someplace nearby, like Tomorrowland Terrace. You can try eating at Village Haus but I know it closes early, as it transforms into a Trick-or-Treat Trail for the party, so be forewarned. No matter your party start time, about ten minutes before 7 PM you’re going to want to head over to the Rivers of America to see the Cadaver Dans performance. They appear on a raft that moves slowly around the perimeter of the water, so I suggest getting a spot towards the center (adjacent to the entrance to Pirates) if you can. If you have time between Toontown and the Cadaver Dans, jump in line for the Disney Pirate Pals photo op at Rancho del Zocalo. Once the Dans have passed I recommend getting in line for a rare character op. Personally, I would head over to the train station on Main Street USA to meet with one of the Villains. 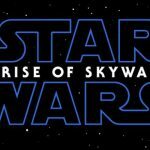 The lines will probably be pretty deep, and remember the Villains rotate out every 30 minutes. So whoever you see out when you get in line may not be who you actually meet. But all of the Villains are pretty rare and they are all really fun to interact with. You could also head over to the Fantasy Faire area to greet some of the Princesses, or head over to New Orleans Square (near the exit of Pirates) to meet and greet with Jack and Sally from Nightmare Before Christmas (be prepared for this line to get REALLY long). 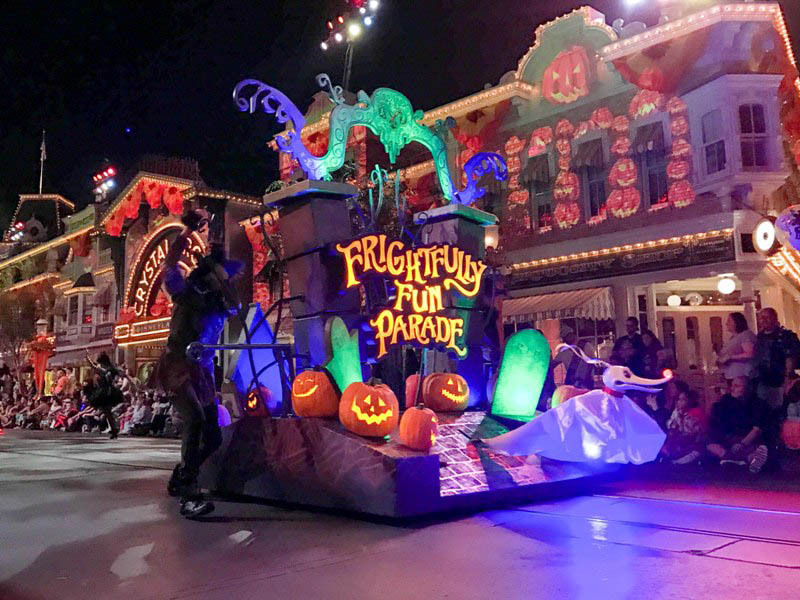 By 8 PM you should be in place for the 8:30 PM performance of the Frightfully Fun Parade. I recommend watching it on Main Street USA so you can immediately move into the street to watch the fireworks show at 9:30 PM. And no matter where you are along the route, you will want to be in place by 8:30 for the Ride of the Headless Horseman. He rides by QUICK so be ready. The fireworks show starts at 9:30 PM ends right before at 10 PM. At this point you either have one or two hours left until the park closes, depending on what time your party started. I would use this time to either meet more characters or go through Trick-or-Treat Trails. You could also go watch the Jedi training at Galactic Grill in Tomorrowland at 10:05 PM. 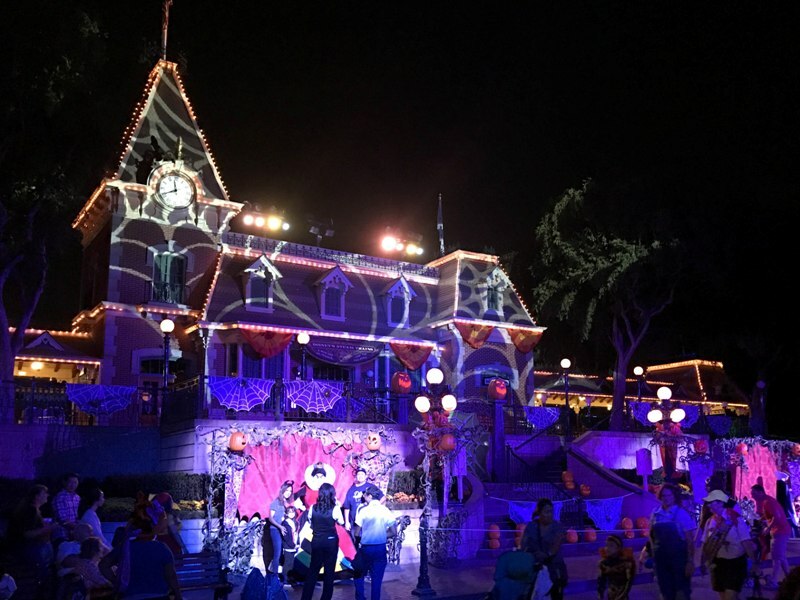 You could also use your last remaining hour to experience some attractions, or sit down and have a Halloween themed snack at Jolly Holiday. For what it’s worth, when I walked by the Princesses at Fantasy Faire at around 11 PM, the lines were pretty short. 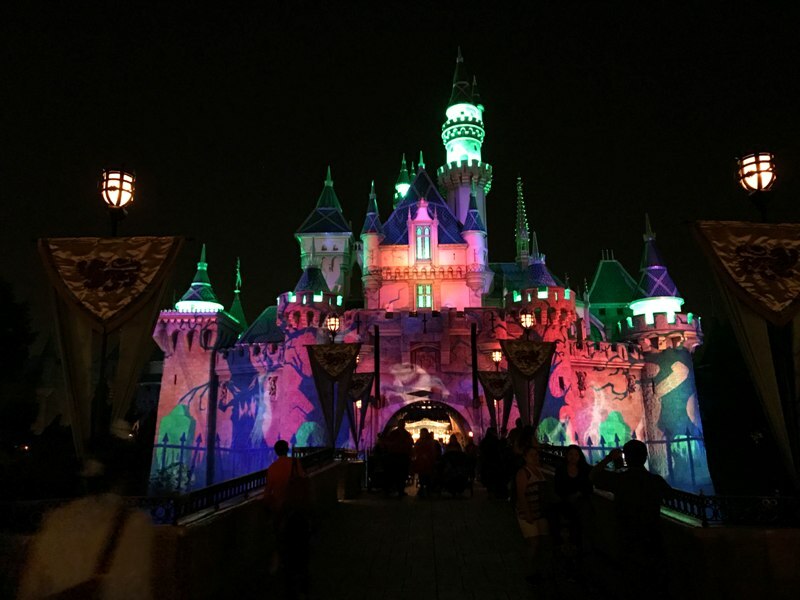 Don’t forget to also stop by Sleeping Beauty’s Castle to watch some of the fun light projections on the castle facade. Also, if you’re a Disneyland Annual Passholder, be sure to go to the Great Moments with Mr. Lincoln theater for a special treat. 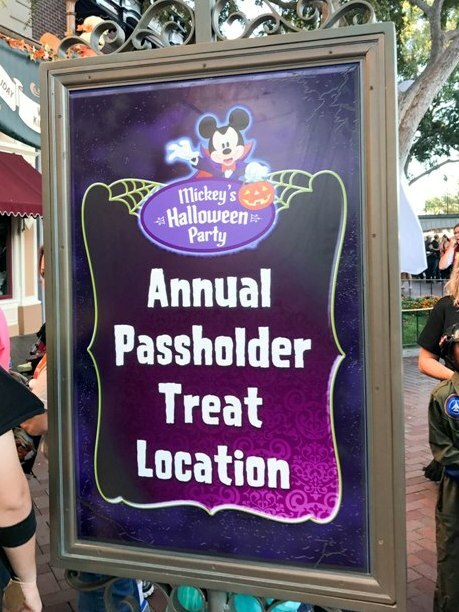 Even though you don’t need your AP Pass to get in the Party, you will need to have it scanned to pick up your special treat. 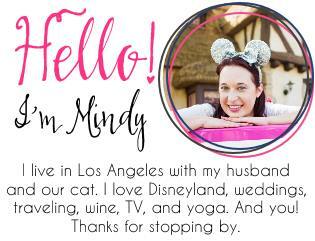 So be sure you have your physical Pass or have the Disneyland app loaded on your phone. I’ll be straight with you. I was so exhausted at this year’s party that I left before closing. But if you can make it until the very end, there is a special Villains “Kiss Goodnight” show at the Main Street USA train station. I watched it the year before and it’s a fun way to end the Party. As always, the Main Street USA shops stay open a little past closing so you can get your merchandise shopping done. I know this is a lot of information, so here is a simple schedule you can screenshot and save to your phone! Make the screenshot your lockscreen so you can easily reference it throughout the night or print it out before you leave home. 3:00 – Enter Disneyland Park. Ride Halloween attractions and eat dinner. 6:00 – Leave Toontown; head to Rivers of America. 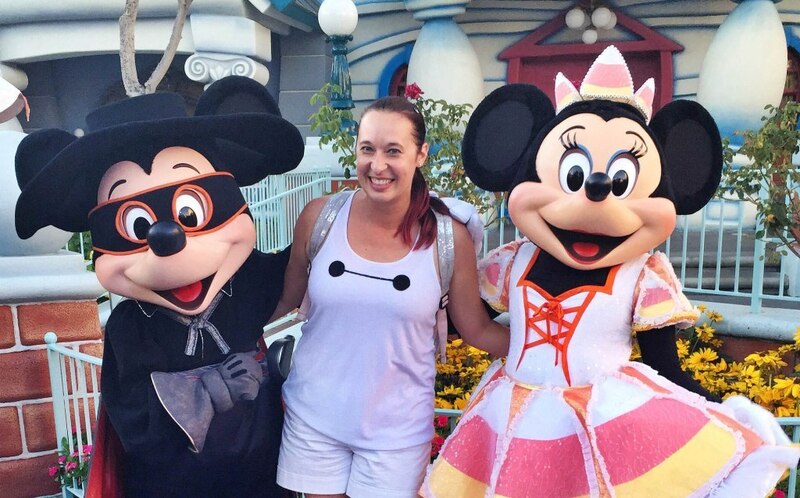 Stop at Trick-or-Treat trails or character meet and greets along the way. 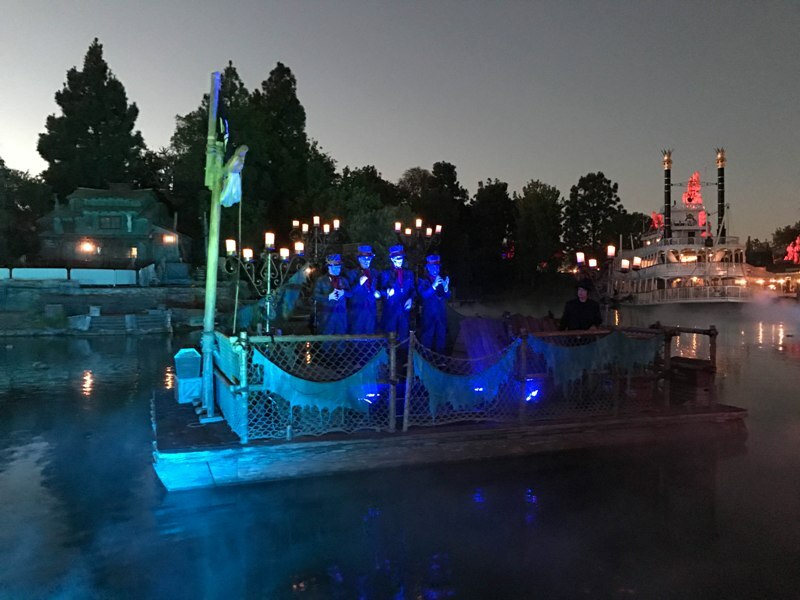 6:50 – Grab a spot along Rivers of America for 7:00 Cadaver Dans show. 7:15 – Head to New Orleans Square for Jack and Sally meet and greet, or Main Street USA train station for Villains meet and greet. 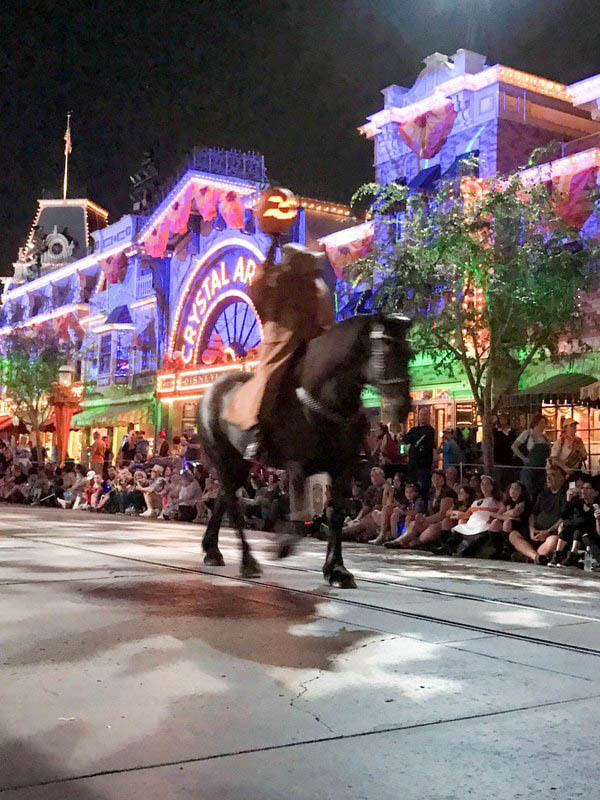 8:00 – Grab spot along Main Street USA for Frightfully Fun Parade and Ride of the Headless Horseman. 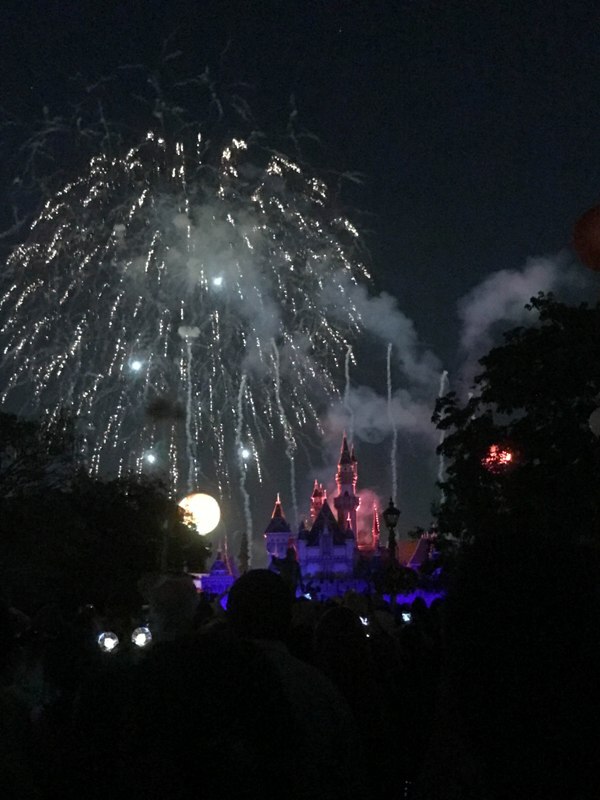 When parade ends – Move into Main Street for Halloween Screams Fireworks. 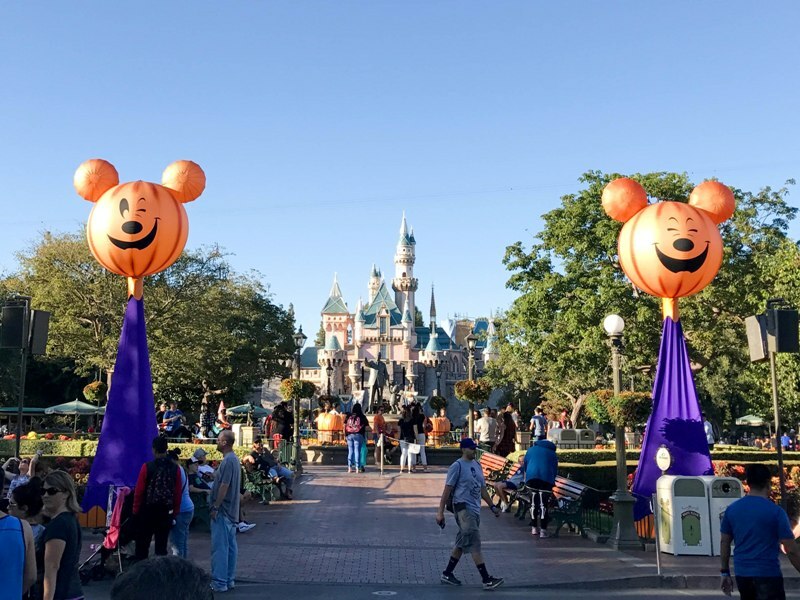 ~10:00 – Use your last hour to do final character meet and greets, Trick-or-Treat Trails, ride attractions, or have a snack. 11:00 – Villains “Kiss Goodnight” show at Main Street USA train station; optional shopping at Main Street Shops. 4:00 – Enter Disneyland Park. 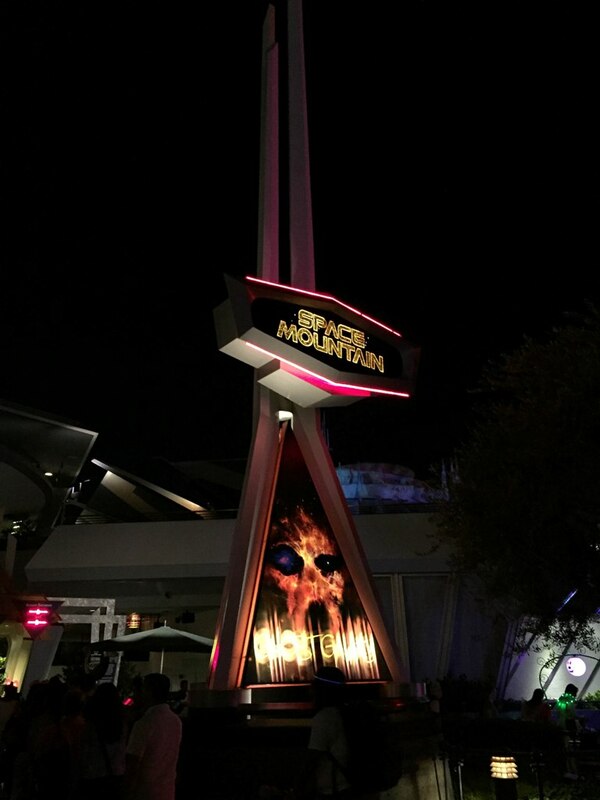 Ride Halloween attractions and eat dinner. 6:45 – Leave Toontown; head to Rivers of America. 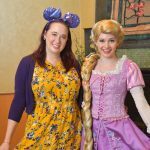 ~10:00 – Two hours to do character meet and greets, Trick-or-Treat Trails, ride attractions, or have a snack. 12:00 midnight – Villains “Kiss Goodnight” show at Main Street USA train station; optional shopping at Main Street Shops. 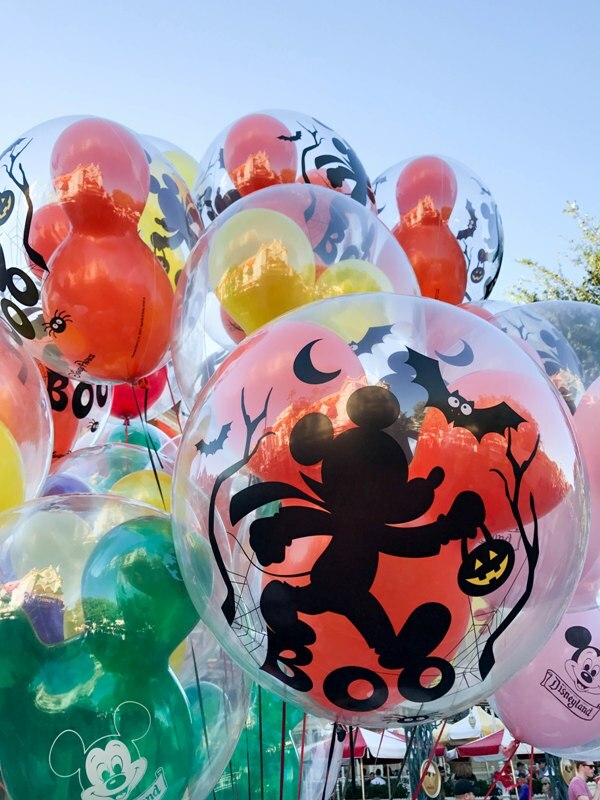 Whew … the Mickey’s Halloween Party at Disneyland is always exhausting but so much fun. If you’re lucky enough to have tickets, have so much fun! 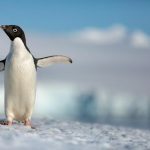 Let me know if my guide helped you!